Gestational Diabetes Research Papers deal with the risk factors. 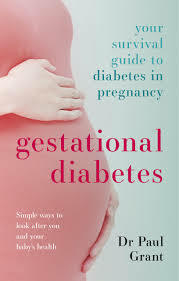 Gestational diabetes mellitus (GDM) is a diabetic disorder that occurs in 4% of all pregnant women and 14% of ethnic groups with higher occurrences of type II diabetes. It can be defined as increased or abnormal insulin resistance, decreased insulin sensitivity or glucose intolerance with first diagnosis during pregnancy. Although many factors that put a woman at risk for GDM are seen in pre-gestation, the condition appears most frequently in late gestation. Researchers have studied the short term and long term effects of glucose intolerance on the fetus and mother. Diet therapy and exercise is prescribed initially to maintain glucose tolerance in women suffering from GDM but often insulin therapy must be recommended. Babies born to mothers who have GDM can be born very large, develop congenital malformations, have respiratory problems, and be at great risk for becoming obese adults predisposed to diabetes. Many pregnancies involving GDM have resulted in fetal death. Cesarean section births are almost always recommended for women with GDM. Preventing the development of gestational diabetes would be the best way to avoid mother and child morbidity and often mortality. Risk factors include obesity (Obesity in these mothers is defined as having a Body Mass Index (BMI) of 30kg/m² or above), age (>30), genetic background or family history of diabetes and history of pregnancies involving fetal macrosomia. If a woman has had a previous pregnancy involving glucose intolerance than she faces the risk of developing GDM in future pregnancies. In addition women who gain too much weight during pregnancy are at greater risk for developing GDM. Ethnic background can be an indicator for risk; Women who are Hispanic, African, Native, Asian American or Pacific Islander have a high incidence of GDM. Effects of Gestational Diabetes - Effects of Gestational Diabetes Research Papers evaluate the short and long term health problems associated. Diagnose Gestational Diabetes - Diagnosis of Gestational Diabetes Research Papers probe into the different tests to determine diabetes. Metabolic Syndrome - Metabolic syndrome is believed to be the same a pre-diabetes. Premature Babies - At only 24 weeks of gestation, the survival rate for any premature baby is only fifty percent. Preeclampsia - Preeclampsia Research Papers study the risk factors of this disease. Congenital Heart Defects - Effects of Gestational Diabetes Research Papers evaluate the short and long term health problems associated. Women's Health - Women’s Health Research Papers discuss why the medical community pays special attention to the biology of women and discuss the physical and psychological aspects of women's health. Goldenhar Syndrome - Effects of Gestational Diabetes Research Papers evaluate the short and long term health problems associated. Paper Masters writes custom research papers on Gestational Diabetes and deal with the risk factors.